Icecream Catering-You choose the occasion, we bring you the fun! Ice creams are highlights of events and parties. Iceberg offers all types of special ice creams, sundaes, shakes and scoops to your party and make your event remarkable. We let your guest build their own ice cream sundaes! With an extensive range of ice cream flavors and an epic hosting, you can throw parties and celebrate the good times. We could even bring our Ice cream catering into your event by setting a mini-kiosk and let you drool over, with our finest recipes and live ice cream making sessions. Whether you’re planning a huge corporate gathering or a simple birthday party, let Iceberg makes it flashy for you! Schedule your event today! Do Iceberg Ice creams offer full-service catering? Yes. We do full-service catering for ice creams along with machinery, crew to serve and it even includes all the disposables and cutlery. Our team will stay & serve your guests just like we do in our stores. Do we have to order the regular menu or do you offer a more comprehensive section for catering? You can choose from our available range of technologies (scooping, cold stone, pan recipes, shake recipes) and flavors can also be chosen accordingly. We could even create custom flavors for your special day. The regular menu is incorporated in the main section of the website. Mail us with your details and requirements for a custom-tailored menu. 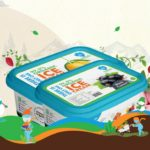 What makes Iceberg catering ice creams unique? Iceberg ice-creams are ideal when you want your event to be delicious and memorable. It is different from regular caterers which serve only scoops of ice-creams. At Iceberg, we create ice cream in front of your eyes in 2 minutes using newer technologies like Coldstone and pan ice creams by setting up a kiosk. How do you cost per person? It includes the cost of the ice cream along with the machinery rentals, crew payments, transportation and disposables cost. You don’t have to pay anything apart from the price considering the number of persons attended. How far will you travel for catering? As far as you want! There are additional transportation costs for travel over 30 miles, but we will go anywhere. How much notice period do you require for a catered need? We need a minimum of 7 days before the event day. In a hurry? Call our support team, and we will get things rolling. Dial us 48 hrs before if you have any changes to your scheduled event. We don’t charge anything for your cancellation, but after the specific period your ordered items would have started their journey in the process of preparation, and it will cost accordingly. How are the items selected, presented and served? All the ice creams are served in the designed cups with environment-friendly spoons along with napkins. Are the staffs trained and what do they wear? We send professionals, and they are passionate about serving and are aware of every detailing. Iceberg staffs only appear according to the prescribed attire at the event premises. What is the best way to contact you or to place an order regarding catering? Call us directly at the number provided on the website or mail us your inquiry or take some time and fill up our catering form provided here.